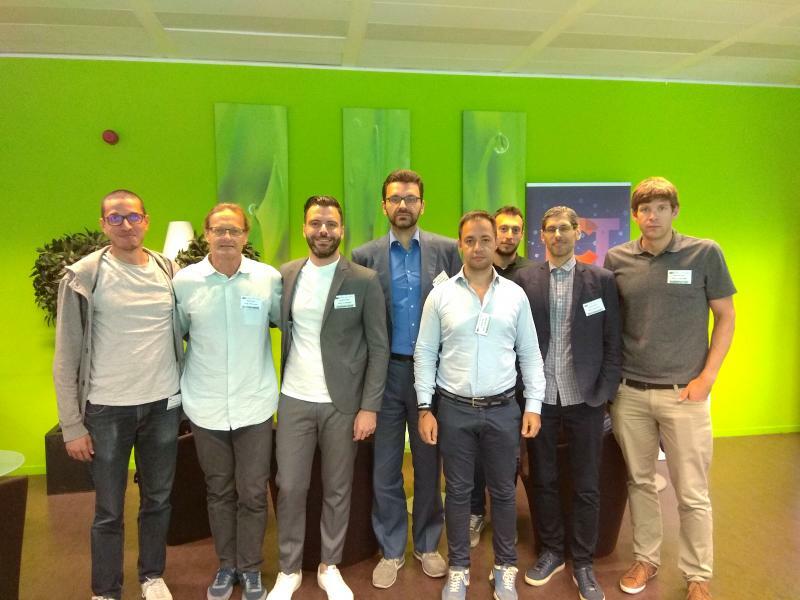 KONFIDO celebrated its interim review in Brussels, on June 13, 2018. The overall progress of the project was presented by the KONFIDO Coordinator, while the progress of each Workpackage was presented by the KONFIDO Workpackage leaders. 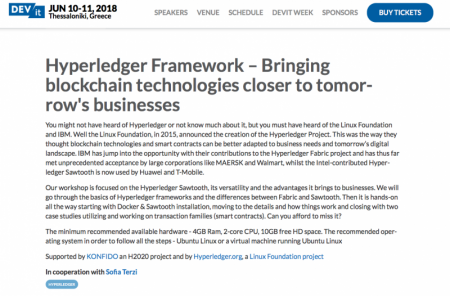 Konstantinos Votis from CERTH will run a workshop on Hyperledger Frameworks on June 10. The workshop is supported by the KONFIDO project and will take place during the DEVit Conference that will be held in Thessaloniki, Greece on June 10-11, 2018. Vassilis Koutkias from CERTH presented KONFIDO at the HIMSS Europe & Health 2.0 Conference that took place in Sitges, Spain on May 27-29. 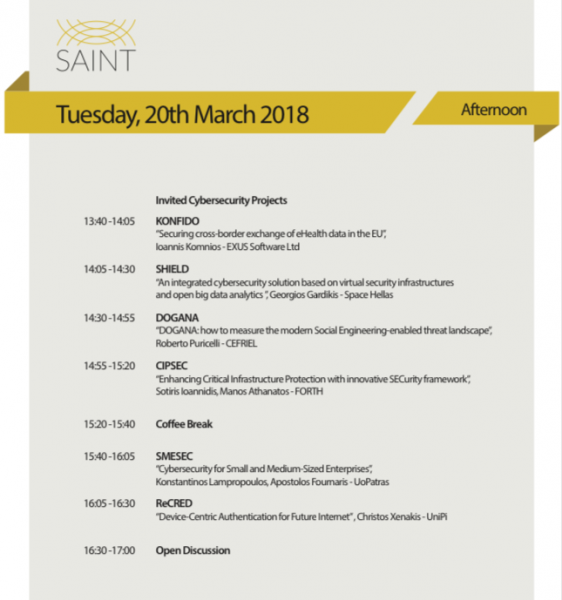 The KONFIDO project was presented during the session entitled "Securing Data, Protecting Privacy | Chapter 1: Focus on Cybersecurity"
KONFIDO will attend the first Cyberwatching.eu Concentration Meeting that will take place in Brussels, April 26. 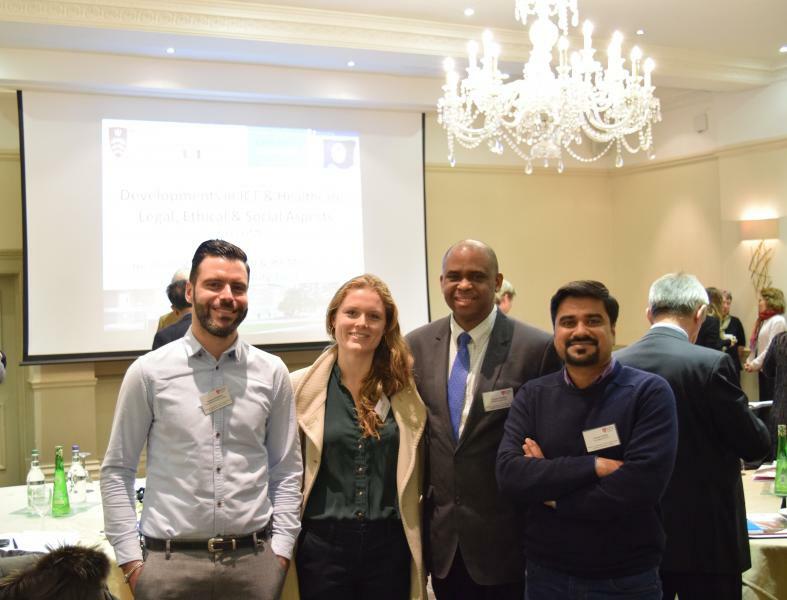 The objective of this meeting is to investigate the current R&I landscape in the field of cybersecurity and privacy and to identify common themes and challenges for clustering activities. More than 40 projects will participate through interactive discussions, break-out sessions, position papers and presentation opportunities. KONFIDO celebrated the kick-off meeting of WP7: "KONFIDO integrated system and technology validation pilots" on March 22, 2018, in Barcelona, Spain. The meeting was organized by EURECAT and concluded with the definition of the pilot preparations plan. 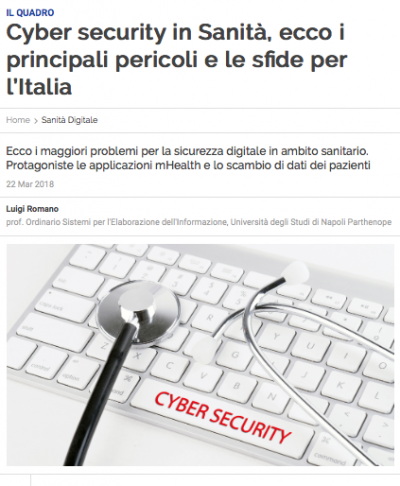 Article about KONFIDO in the Italian portal "Agenda Digitale"
An article about KONFIDO by the Technical Coordinator, Prof. Luigi Romano, was published in the Italian portal "Agenda Digitale". Read more about Article about KONFIDO in the Italian portal "Agenda Digitale"
KONFIDO was presented at the SAINT Workshop organised by the SAINT H2020 project, held on March 20, 2018, in Athens, Greece. The main objective of the Workshop was to bring together several EU cybersecurity and privacy-related projects, to assist in the exchange of knowledge and ideas and promote collaboration. 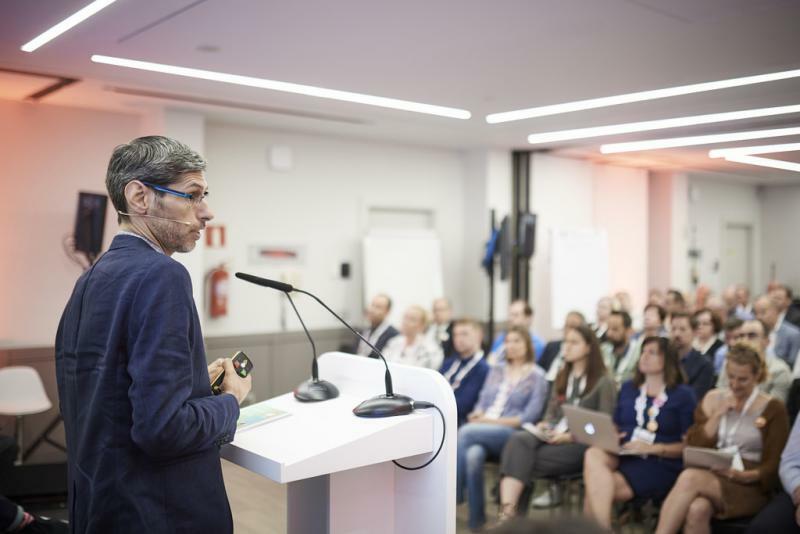 The KONFIDO Coordinator provided an overview of the project and highlighted its core outcomes. 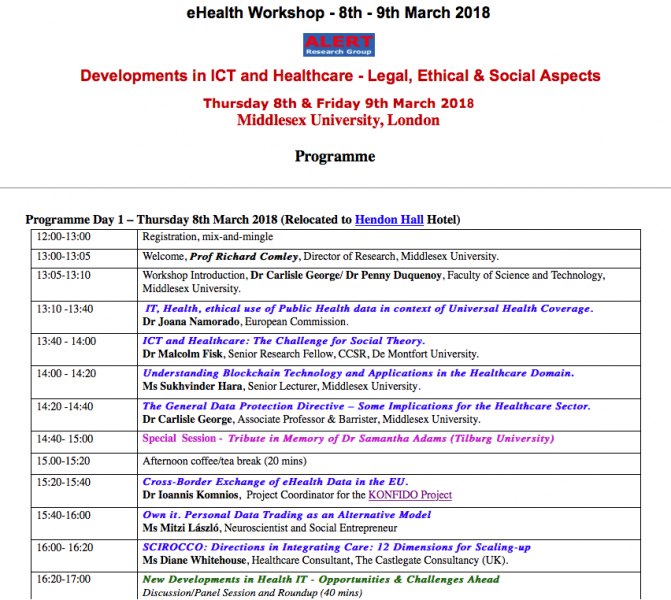 KONFIDO was presented at the eHealth Workshop entitled "Developments in ICT and Healthcare - Legal, Ethical & Social Aspects", held on March 8-9, 2018 at Middlesex University, London. The KONFIDO Coordinator provided an overview of the project and highlighted its core outcomes. 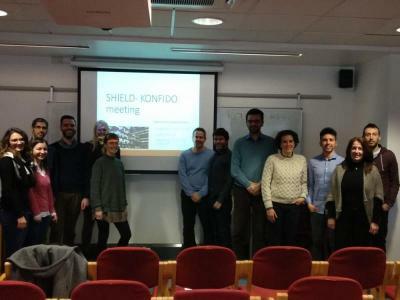 A KONFIDO-SHiELD joint meeting was hosted by Imperial College London and KONFIDO project in February 28, 2018 in London. 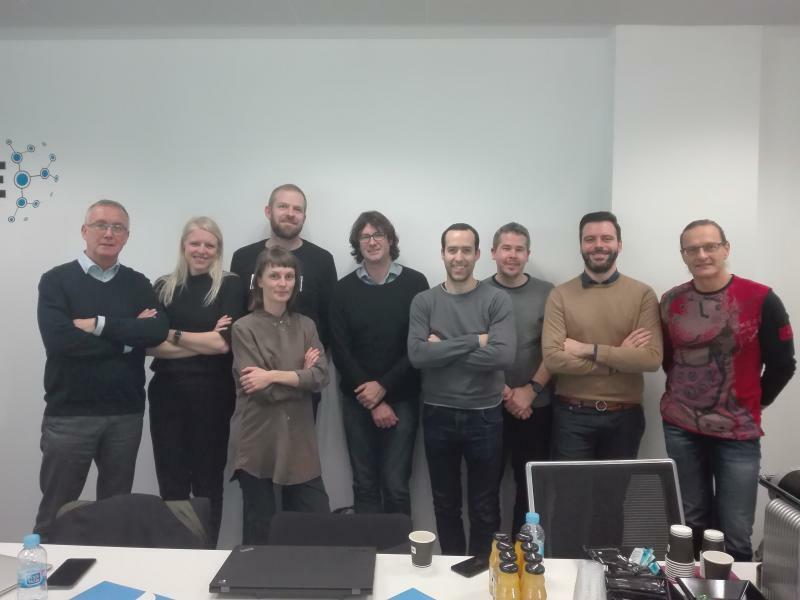 Partners from KONFIDO and SHiELD presented the projects' progress and had fruitful discussions on cybersecurity and privacy for eHealth. 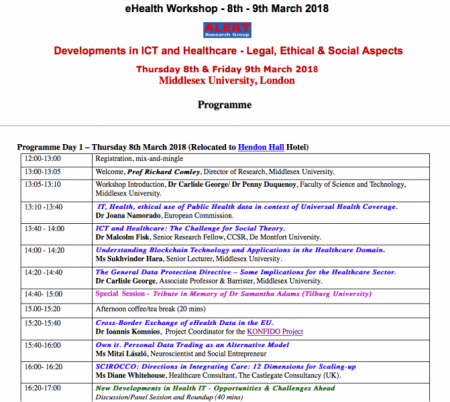 KONFIDO will be presented at the ISCIS Security Workshop organised by Imperial College, that is being held in 26-27 February, London. 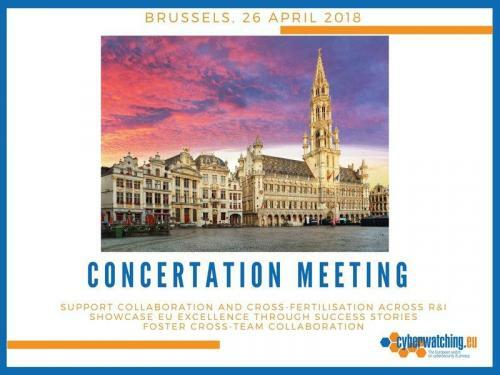 KONFIDO partners will be presenting key outcomes, as well as other aspects of the project.